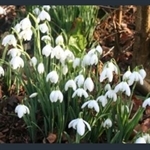 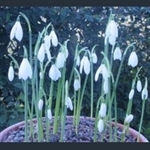 Common snowdrop; pretty, nodding white flowers with green markings. 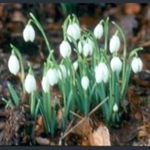 A rounded cluster of white, trumpet-shaped flowers. 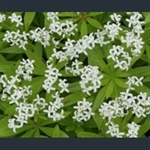 Dark reddish green mat of foliage with sweet pink flowers. 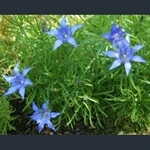 Vigorous clump-forming perennial with pink flowers and autumn foliage colour.